Are you a Star Designer of Tomorrow? The Pro Carton Young Designers Award is one of the most important European awards for the design stars of tomorrow! The competition has been promoting professional recognition for young designers in the field of packaging for 15 years now and gives them exposure to leaders in the industry – a first step into the business world and a professional career. As a result of its overwhelming success in 2016, in future the Pro Carton Young Designers Award will be held every year. This means that all design schools and universities can now include the Award as a regular element in their curriculum, offering students the huge opportunity to demonstrate their creative skills in a competitive environment! Cartonboard is the most sustainable packaging material and, of course, fully recyclable. Here’s a chance for you to put forward your cartonboard ideas outside of the packaging market. Last year’s winner was a cartonboard bowtie! Ideally you should submit physical 3D samples but illustrations or two dimensional layouts are also welcome. The main prize is one-week, expenses paid, practical training at Graphic Packaging International (Bardon, United Kingdom) and a two-day visit to Iggesund Paperboard (Iggesund Paperboard, Iggesund, Sweden). Furthermore, all finalists and their lecturers will be invited to the Gala Awards dinner and ceremony on 21st September 2017 in Salzburg – the city of Mozart and Red Bull! And of course, there will also be trophies, certificates and comprehensive marketing activities (>> see images from the Gala 2016). 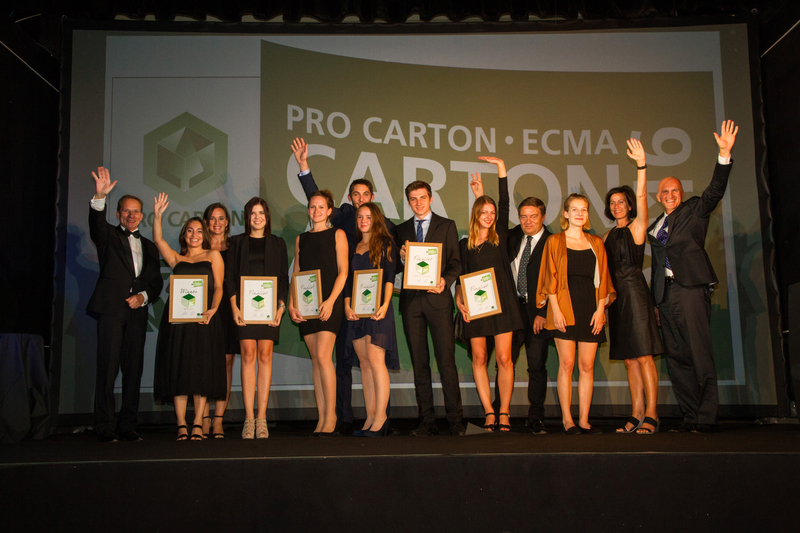 The winners and finalists will be presented to a broad professional audience by the Pro Carton E-News, as well as to the trade media. The results of the competition are published on the Pro Carton website and are featured at trade shows across Europe. As always, the jury consists of designers, brand owners, retailers as well as manufacturers of cartonboard and cartons. This ensures that the needs of the entire Supply Chain are taken into consideration. Public voting – win an iPad Air! Now the competition has closed, all designs that got through the qualifying round, are showcased on our voting page with photos and texts. In addition, all entries will be presented on our social media channels Facebook, Twitter, Instagram, Pinterest and LinkedIn to a wide European audience. Everyone can >> vote for their favourite entries on www.procarton.com and decide who will win the Public Award. The design with the most votes will win an iPad Air. There will also be a prize draw among all voters for a further iPad Air. In its first year, Public Voting was a tremendous success, with 14,000 votes cast for the 2016 Public Award. Extensive information on the current competition is already available on our social media channels. Which means: follow, involve friends, like, share, comment and promote your own entries via #pcyda17!